I am a fan of restoring old furniture and reusing it, so when I was pregnant with my daughter I went hunting for the perfect piece of furniture to add a little vintage style to her room. I found this kitchen bureau at an antique shop and my mom repainted it for me (with non-toxic paint). It was a great mother-daughter project and I really think it turned out awesome! 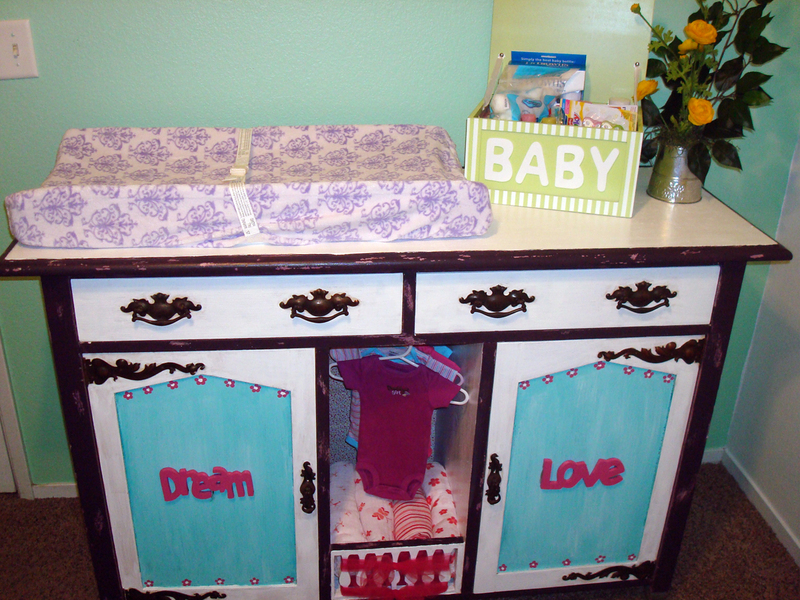 It is amazing what just a little paint can do and this kitchen buerau, originally used to store dining utensils and dishes had a world of amazing drawers and shelves inside that allowed me to easily organize all of my babies clothes, blankets, diapers and wipes. As she has gotten older I have removed the doors and used the shelves to store her toys and it works great! Just thought i’d share this great multi-use piece. 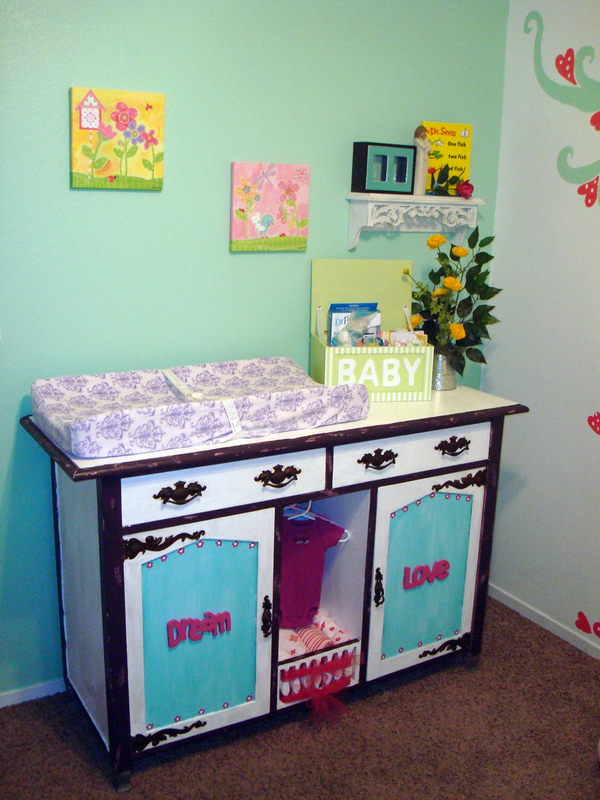 It was an easy DIY project for a mom and grandma- to-be! ** a word of caution, whenever restoring old furniture, especially for a nursery, be cautious of lead based paint and sharp corners/edges and hinges. There are a variety of low-VOC paints on the market today that are safe for children’s rooms. And pregnant mamas, to be on the safe side, have a partner paint for you! This is adorable! Great idea. Love it.